Even at home, you can make tasty burgers and without the need to spend a lot of money. The good news is that it is possible to do so without doing things from scratch, such as grinding meat, adding the necessary ingredients, and hand-forming patties. You can buy the best frozen hamburger patties that are available in the market and prepare a delish treat for everyone! In the rest of this guide, we’ll let you know how to pick burger patties, as well as five of the options that are worth considering. To make it more convincing, we are also listing down some of the things that we love about our recommended frozen burger patties, anticipating that it will provide you with enough reasons to be convinced. Save Time and Effort: If you are the type of person who is lazy and impatient, frozen burger patties are for you. 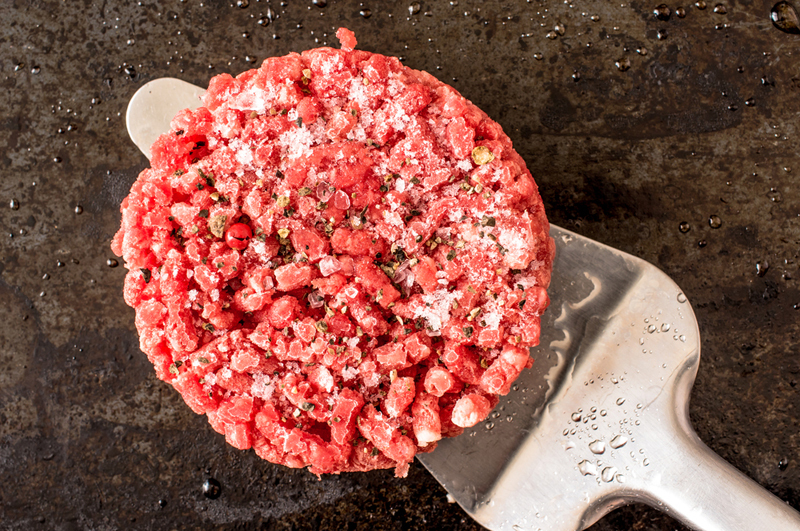 You do not need to mash raw meat, form patties manually, or think of how to add flavor in your patties. They are ready to be used, and hence, can be a great time-saver. Great Flavor: If you intend to make home-made patties, you need to think about the ingredients that you need for a flavorful burger. When they are ready-made, on the other hand, you just need to think about sauces and dressing. The meat is already flavored and you will enjoy the variety that is available. Avoid Harmful Bacteria: As long as you handle the patties properly, you can avoid unnecessary contact with bacteria that can cause spoilage. 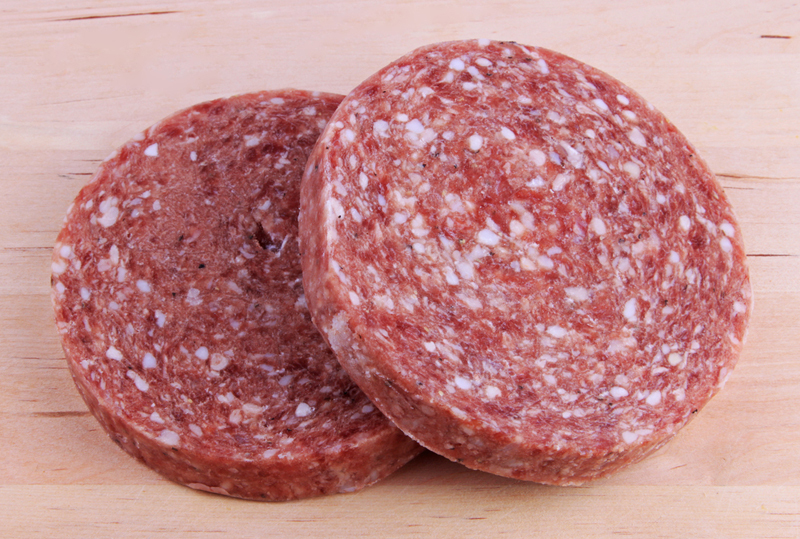 You do to have to handle raw meat using your bare hands and there is also lesser risk of cross contamination. 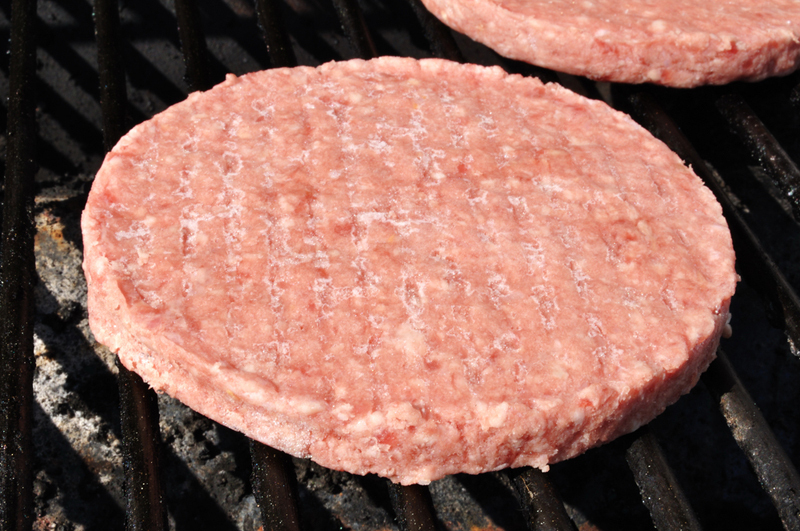 Risk of Germ Exposure: One of the most common problems with frozen patties is that E. coli can thrive in the meat. The best way to avoid this is to make sure that the patty is kept frozen. No need to thaw the meat before cooking. Questionable Meat Quality: A lot of manufacturers will indicate in the packaging the source of the meat. However, you can never be sure if they are telling the truth, such as if it is indeed purely Angus beef. To avoid problems, be sure to buy only from a reputable company. In this section, we will briefly tackle some of the most important considerations that will help you to come up with the right decision. Among others, one of the most important things that you need to take into account would be how the cows were raised as this will have a direct impact on the quality of the meat, especially the taste. A lot of people are concerned about the freshness of the frozen hamburger patties. To be assured that it is fresh, opt for flash-frozen burger patties. This means that the meat is frozen the soonest possible time, which is one of the many ways by which the possibility of contamination is minimized. Pay attention to the packaging as well and make sure it won’t easily spoil in transit. This is one factor that can be quite subjective. 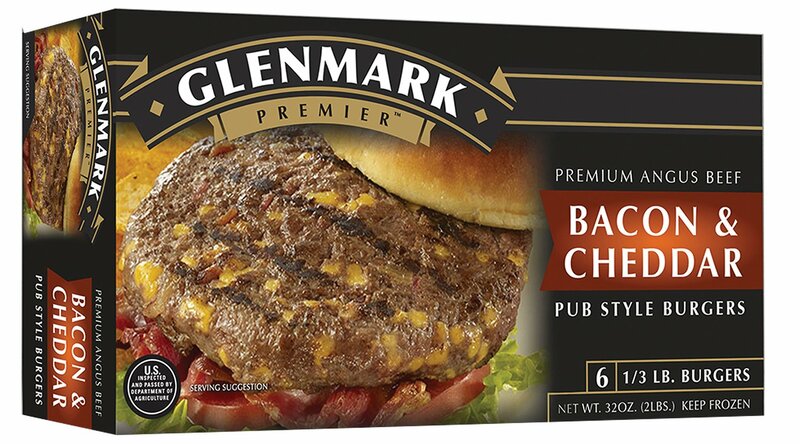 A lot of people would prefer frozen burger patties that are already flavored, such as those with bacon, mushroom, and cheese, among other ingredients. Some, however, would like to be more basic, opting for plain burger patties and seasoning it with their choice of flavoring. To be sure that the flavor will be authentic and tasty, opt for burger patties with no or minimal additives and artificial flavorings. In some cases, companies add fillers so that the burger patty will be larger and hence, this results to poorer flavor. Pay attention to the part of the meat that is used as well since this will impact flavor. Do not bother thawing the burger patties after taking them out from the freezer. This will only increase the likelihood that they will suffer from contamination. Cook it right away, making sure that the level of heat is enough to cook the meat. 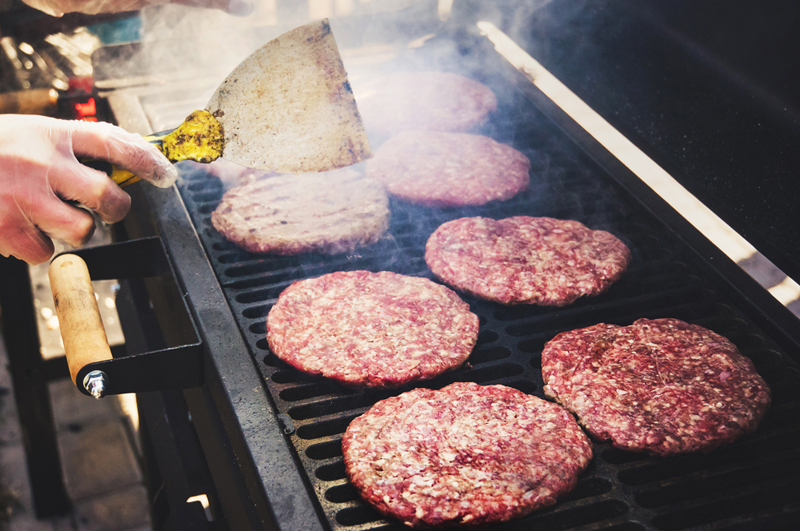 Use a meat thermometer to make sure that the meat has been properly cooked before making your burger. The internal temperature should be at least 160 degrees Fahrenheit to prevent the possibility of having food-borne illnesses. 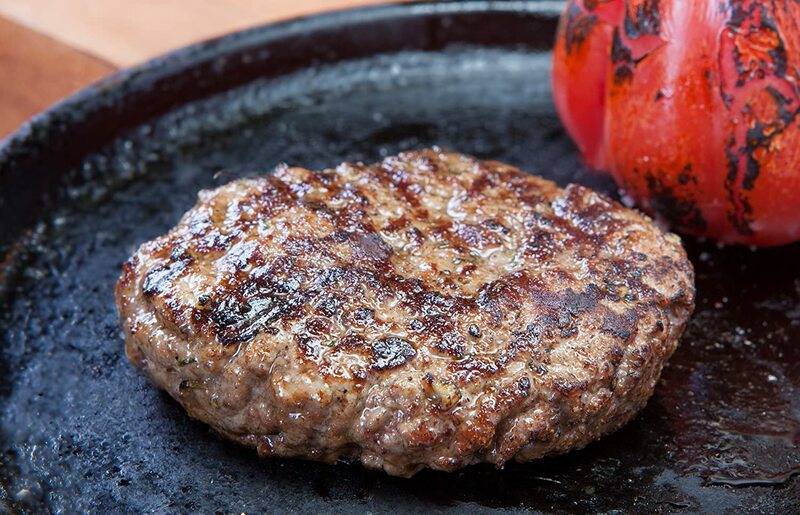 When cooking the meat, especially if you are grilling, as much as possible, flip the patty only once. This is important to not disrupt the searing process, and hence, can lead to a fuller flavor. Pay attention as well to the shelf life of frozen patties. The manufacturer will most probably indicate this in the packaging. To keep the patties fresh, it is best to keep them in the back part of the freezer so that it will not be prone to fluctuations in temperature. Are you still undecided on which one can provide the best value for your money? If you have no idea on which one to buy, below is a rundown of some of the best models that you might want to include in your draft of choices. Although a bit expensive, this is one of the favorites amongst many people because of its flavor and texture. It is tasty and you do not have to add too much salt and pepper just to feel a bit of more flavor in every patty. One thing that you might also find impressive in this product is its packaging. It is designed in such a way that it can get rid of external elements that would speed up spoilage while in transit. Upon receiving the package, however, make sure to refrigerate it as soon as possible to maintain its freshness. The juiciness of the patty is one more thing that you might appreciate. It is hard to go wrong with this burger. From the first to the last bite, it is oozing with goodness of fresh and flavorful meat. Making gourmet burgers at home is sure to be a lot easier! Lastly, each patty is individually packed. The attention to detail is one of the many ways by which the manufacturer ensures the quality of their product. They pack using state-of-the-art procedures, which is also a great way to prevent contamination. If there is one reason why you should choose this burger patty, it would be that its meat is from cattle that is 100% grass-fed. In case you do not know, the food of the cattle will have a huge impact on the flavor of the meat. Grass is excellent because it is 100% natural and this will be evident on the taste of the patties. The cattle were not also given any type of hormone to enhance its growth or to increase the yield of its meat. There are also no antibiotics. They were raised in the U.S.A. and in a domestic environment, which is another reason why it is reflective of superior quality. Lastly, the Paleo Foundation certifies the patties, making sure that they are approved for those who are strictly following a paleo diet. The meat does not contain gluten. This proves that even if you are following a healthy lifestyle, your food does not necessarily need to be boring. 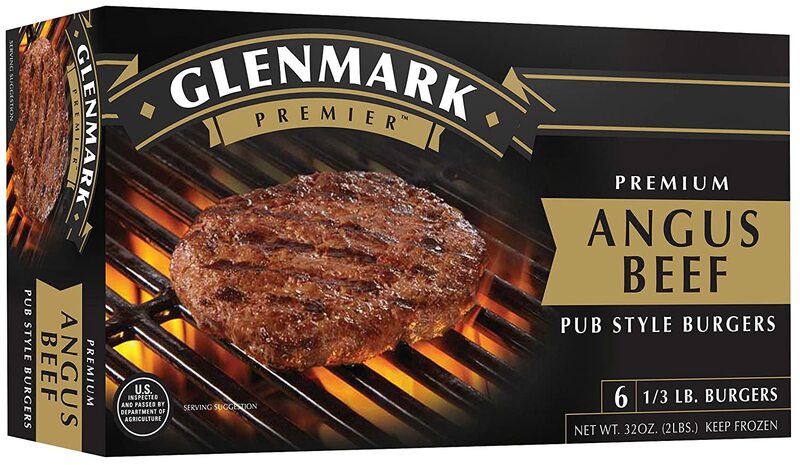 If you go online and search for Angus beef burger patties, you will see a long list of results, many of which are claiming to be Angus, when in fact, a lower grade beef is used. With this product, you can buy with confidence knowing that it is 100% USDA-approved angus beef. Each burger patty is 1/3-pound. This is bigger than most of the frozen patties that you can find in the market. This is definitely not for sliders and lame burgers. If you want patties for manly burgers that are oozing with goodness, this is what you have to choose. It is also a good thing that the manufacturer uses a flash-freezing process in the production of their burgers. The latter makes sure that freshness will be sealed, and hence, resulting to optimal flavor in each piece. In the case of many options for frozen hamburger patties, you might find yourself adding too many seasoning just to alter its flavor. With these patties, such is not one thing that you have to do. It has mushrooms and Swiss cheese, resulting to a one-of-a-kind flavor. 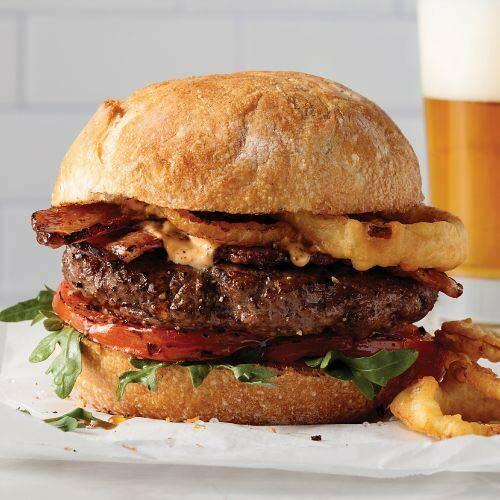 Every bite from the burger will be an explosion of flavors. The burger patties are also flash-frozen, similar to the option mentioned above. If they are not frozen the soonest possible time, there is a high likelihood that freshness will be compromised. This can lead to contamination. Luckily, the manufacturer uses flash freezing in the production of their burger patties. Lastly, it is also made from Angus beef. Compared to other types of beef, it is naturally flavorful. You do not need to add tons of salt and pepper just for your burger to end up being tasty. A lot of thrifty buyers may immediately exclude this from their list of choices because the price appears to be stiff. Nonetheless, this is one thing that the manufacturer can justify. It is expensive because of its quality. The flavor of the patties is another good reason to consider it above other choices that you might have. It has real bacon and cheddar cheese inside each patty. 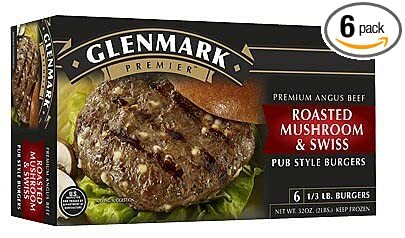 This makes it not only flavorful, but also adds a good texture in your burger. The cheese melts when you cook the patty, making your burger tasty! It is made not just from any other type of meat, but from Angus beef. This is also perhaps the reason why it is quite expensive. It is from cattle raised in an environment that greatly favors the flavor of its meat. From those that have been earlier mentioned, I would suggest that you go for Omaha Steaks 12 4-ounce Burger Patties. These are large, juicy, and flavorful, which is why they deserve your attention in your search for the best frozen hamburger patties. Regardless of the way you intend to make your burger, it is naturally flavorful and will not require too much seasoning.